This form is to register for your exciting Cruise. Please fill out form for ONE Stateroom. If additional staterooms needed, please fill out separate form for each. All costs are PER PERSON - DOUBLE OCCUPANCY! Meaning 2 people in each stateroom. We are delighted that you want to go. 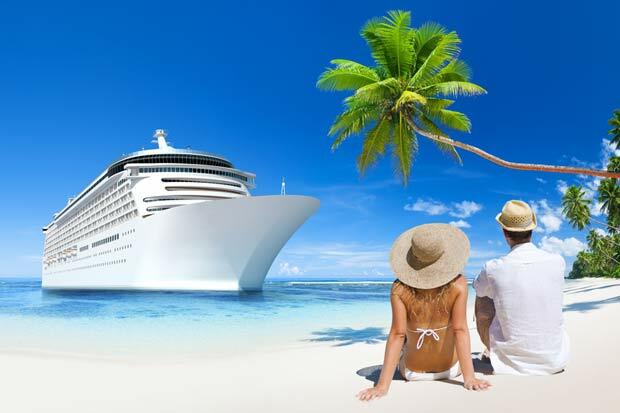 We will send you email confirming all details of the cruise. Please Note... Any question with a RED * (asterick) requires an answer. Please make sure you answer those questions. Make $250 per person deposit today and make final payment by due date November 27, 2017 Make $250 per person deposit today and use monthly payment plan. Payment plans begin December 16, 2016. Make full payment now! Pricing includes taxes, port fees and pre-paid gratuity (Service Charge). Is your phone a VP? and your provider Sorenson? Passenger 1 Do you have a valid Passport? Must expire 6 months after date of end of cruise. Some Cruises REQUIRES passports, so check with us. Pasenger 1 - Emergency Contact NAME? Pasenger 1 - Emergency Contact Phone Number? Your home airport to fly out of? Passenger 2 Do you have a valid Passport? Must expire 6 months after date of end of cruise. Some Cruises REQUIRES passports, so check with us. Passenger 2 - Are you a US Citizen? Passenger 2 - Same Address as Passenger 1? YES No - Please put address in Comments box below. Pasenger 2 - Emergency Contact NAME? Anyone else crusing with you? Please enter Name and Birthdate We will send exact costs for 3/4 passengers in same stateroom. IF available. Do you need special services? Accessible Room? Comments: Any questions? Anniversary? Birthday? or Special Occasion? Passenger 2 Address? YES, Please add travel insurance to my registration. NO, I DECLINE travel insurance, I confirm that by declining, I assume full risk for my travel plans and cruise. (you will be sent a decline form). YES, but want travel insurance quote first. YES, but want to pay later. NOTE: For any pre-existing medical conditions, you need to purchase insurance within 21 days of making deposit. and monthly payment plan if you wish. By submmiting this form, you are agreeing that you have READ this discliamer and understand. When completed we will call you or send you a link for your credit card information. Thanks! The information contained in this document, may be confidential and subject to copyright. Please be advised that pricing can fluctuate within the same day and that all promotions and quotes are subject to change without notice. As a result, prices and quotes will not be guaranteed by vendors until booked with payment. DISCLOSURE NOTICE The information contained in this registration form, including any attachments, may be confidential and subject to copyright. Any pricing information displayed is not guaranteed until actual full payment or Deposit is made. Be aware that pricing can, and often do, change. Be aware that transmission of information through the internet cannot be guaranteed to be secure or error-free as information could be intercepted, corrupted, lost, destroyed, arrive late or incomplete, or contain viruses. Guljan Inc. DBA Lange Travel does not accept liability for any errors or omissions in the contents of this message, which may arise as result of internet transmission. Please do not send credit card numbers through the internet in form of email messages. Booking and Reservations: Prices and availability are subject to change and are not final until the booking/reservation is confirmed (this includes hotels and ground transportation). A valid form of payment (Cash, credit card, funded personal check, or money order) is needed to finalize bookings and reservations. Some hotels may withdraw funds prior to check-in, while other hotels may process payments at check-in/out. Some hotel reservations are refundable, some are partially refundable, and others are not refundable. Suppliers/Vendors: Lange Travel is acting as an agent for suppliers/vendors in selling travel-related services, or in accepting reservations or booking for services that are not directly supplied by Lange Travel (Such as, but not limited to, air and ground transportation, hotel accommodations, meals, tours, cruises, act.). Lange Travel and its agents, therefore, shall not be responsible for breach in contract or any unintentional or careless actions or missions on part of such suppliers, which results in any loss, damage, delay or injury to you or your companions or group members. Unless the term "guaranteed" is specifically stated in writing on your tickets, invoice, or reservation itinerary, Guljan Inc. DBA Lange Travel does not guarantee any such "suppliers" rates, bookings, reservations, connections, scheduling or handling of personal effects. Lange Travel is not responsible for cancellation or any services and/or refunds from any supplier or carrier that may cease operations. Acts beyond Lange Travel's Control: Lange Travel agency and its agents shall not be responsible for any injuries, damages or losses caused to any traveler in connection with terrorist activities, social or labor unrest, mechanical or construction failures or difficulties, diseases, local laws, climatic conditions, abnormal conditions or developments, or any other actions, omissions, or conditions outside Lange Travel's control. we are seeing more and more passengers being denied boarding due to past criminal convictions. It is the passengers responsibility to be aware of the laws in the country to which they are traveling. Failure to meet destination requirements can result in denied entry with no refund. Travel Documents and Vaccinations: Traveler assumes complete and full responsibility for, and hereby releases Lange Travel and its agents from any duty of checking and verifying any and all passports, visa, vaccination, or other entry requirements of each destination. Photo Notice/Release – Please be aware that by, you consent to your signing, voice, name and/or likeness being used, without compensation, in films and tapes and photographs for exploitation in any and all media, which may be used in promotion and advertising of Guljan Inc., DBA Lange Travel events, whether now known or hereafter devised, for eternity, and you release Guljan Inc., DBA Lange Travel, its successors, assigns and licensees from any liability whatsoever of any nature. Please notify Guljan Inc., DBA Lange Travel if you do not consent to this and avoid areas or events where photography is being conducted. Security, Safety, and medical Health information: Traveler assumes complete and full responsibility for all safety and security conditions of travel destinations and during the length of the proposed travel. For information regarding security and safety concerns check out the web site of the U.S> State Department Travel Advisories and Warnings (http://travel.state.gov/). For medical and health information concerning travel destinations, check out the website of the U.S. Center for Disease Control and Prevention (http://wwwnc.cedc.gov/travel/). You are also encouraged to check the “Cruise Forward” website which commits to the safety and wellbeing of passengers and crew at www.cruiseforward.org. Travelers voluntarily assume all risks whether expected or unexpected, involved with any and all booked/reserved travel arrangements. Travel Insurance: With this notice or registration we offer travelers the opportunity to purchase travel insurance coverage prior to departure. Failure to purchase such coverage entails that the traveler explicitly waives such coverage. You can get more information by checking Lange Travel Insurance Partner by clicking this link: TRAVEL INSURANCE. If link does not work, please copy and paste into your browser search line - http://partner.roamright.com/?partnerid=1008100359 . Purchasing travel insurance is not required in order to purchase any other product or service that we have to offer. We may not be licensed to sell insurance, and therefore, we are not qualified or authorized to answer technical questions about the benefits, exclusions, and conditions of this travel insurance or evaluate the adequacy of your existing insurance coverage. The insurance coverage may duplicate existing insurance policies that you may have. You may wish to compare the terms of this policy with your existing life, health, home, rental and automobile policies, and other sources of protection. If you have any questions about your current coverage, please call your insurer or insurance agent. FOR MARYLAND RESIDENTS: Please additionally read the following: Your travel insurance is primary to any other duplicate or similar coverages. The Limited Lines Travel Insurance Producer for this travel insurance policy is Arch Insurance Solutions, Inc. located in Hunt Valley, MD; and the carrier of this travel insurance is Arch Insurance Company, whose administrative offices located in New Jersey. All these disclosures that you have just read along with the contact information for both the producer and carrier will be included in your policy or document of coverage and invoice once we finalize the sale. Links: Any links mentioned in this registration form or the www.LangeTravel.com website should be considered personal or affiliated links. Products and services recommended are those that I have personally used or from providers I trust. Often I am able to negotiate special discounts and/or bonuses, which I will pass on to you via my links. Perform your own due diligence with any product or service purchases to make sure it's right for you. Guljan Inc., DBA Lange Travel, on behalf of its affiliates and/or subsidiaries, as follows: Lange Travel, 138 Seagrove Main Street, #840-313, St. Augustine, FL 32080, Fla. Seller of Travel Ref. No. ST39107.